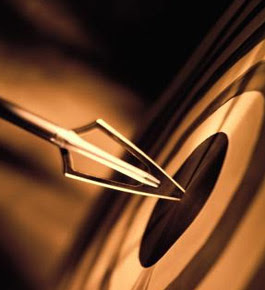 Forget Metrics and Start Behavioral Targeting! Cost per click, cost per acquisition, pay per click, hits, time spent, unique users, unique visitors… the list goes on and on. With a bevy of systems and channels for marketing, how does a marketer make sense of it all? Well, fuggedabout metrics and start building your behavioral targeting systems – ASAP! Let me explain. I don’t care about impression counts or numbers of unique users – those metrics are meaningless when you’re talking to your lines of business. There is only one metric that counts, and that is SALES. At the end of the day, if you don’t make the cash register ring, you won’t be worried about impression counts. OK, great you say, but how do you do that? You have to start profiling behavior on your site in a way that you can collect data from organic traffic coming in, as well as any referral traffic arriving via Google and other sources. With a simple cookie, you can ID returning visitors. You also can add to their online profile if they engage in activities on your site such as downloading a white paper, listening to a podcast, reading a blog post. With this type of information, paired with their profile, you can continue to communicate with them via email about interests they are expressing on your site. I feel this is critical for marketers to be working on. The number of channels is exploding before our eyes – YouTube, blogs, wikis, etc. How are you going to track all that?? You have to have a baseline behavioral tracking system in place. Otherwise, you won’t get to second base by adding tracking from sister sites like blogs or wikis, which you launched for some marketing campaign but are not part of your domain. Behavioral targeting is the only way to get real data about what a client, prospect, account or group of like buyers might want. It’s how you can help move the targeting needle for the sales team by continuing to nurture them until they reach the elusive moment of need for your product or service. 11 comments to Forget Metrics and Start Behavioral Targeting! Ironic that you’re writing about this, Paul. I just had a conversation with a call center this week that was complaining about how long each call was taking. I asked them what metric they were using to determine that it was too expensive. They charge by $/call so calls/hour is what determines their profitability. I asked them what the average call time was for the most profitable sale (including upsell opportunities, etc.) and they looked at me like I was speaking Greek. The fact is, they couldn’t put a value on the time they were spending with each caller. We’re looking for a new call center that understands OUR value proposition, not theirs. We don’t mind spending more money per call, but the fact that they don’t recognize there may be a value to longer calls is unacceptable. Totally agree that the value is not in the NUMBER of calls completed but in the quality of the interaction. Good idea to ask these questions and then decide whether they make a fit for your company! Completely agree. It’s not cost per hour that’s most important but profit per hour. They may be tied together, but they are different things. I’ve been reading your blog and would like to connect on linkedin since I saw your linkedin button and find your blog insightful. If you’re interested, I’ve included my linkedin url (hopefully correctly, as I’m new to all of this). Tools like Eloqua, Aprimo, Firstwave, Vtrenz etc can do this for you but it takes work! So, all that cash we spent on HBX is for naught? Ugh! Paul, What role can optimization technologies play in this? We’ve just invested in Omniture and will be implemented in a month or so. I’m chomping at the bit to get better metrics than I have today (which are rudimentary due to an old legacy system). But it sounds like I might be missing something right from the start: profiling behavior and baseline behavioral tracking. Any good white paper or website you can sugest to get me started on educating myself? I would read Brian Carroll’s blog called Start with a Lead. He talks about how to do lead nurturing.